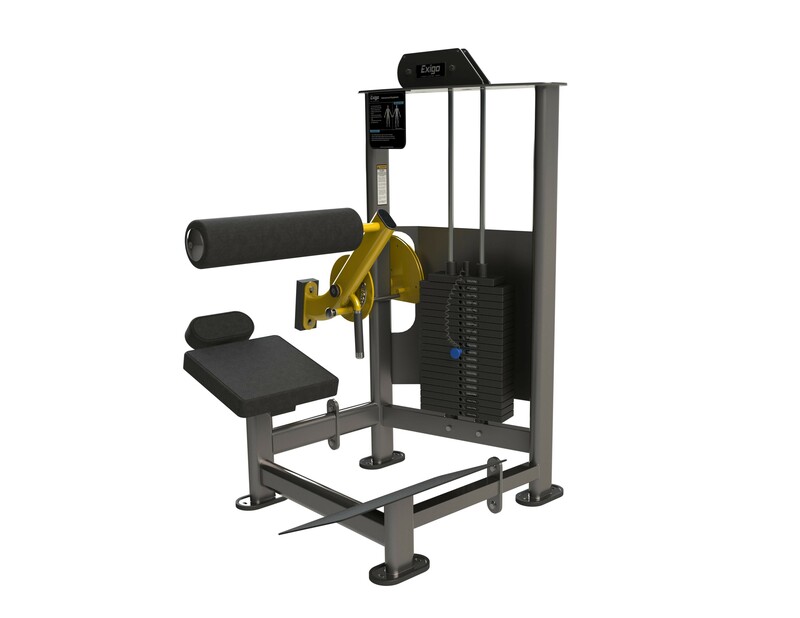 The Exigo Back Extension is a strength training machine part of our superb selectorized torso/multi use range and is perfect for isolating and strengthening the back muscles. One of the most common discomforts people suffer from is back pain, simply incorporating back extension exercises into your fitness regime will strengthen important stabilizing muscles in the back, resulting in correct spine alignment, reduced risk of back pain, protection against injuries and improved posture. Comfortable and easy to use this impressive piece of gym equipment is user friendly and constructed to battle the rigours of a busy commercial gym environment. Thoughtfully designed and manufactured in our UK factory this machine features an adjustable seat and roller, plus a non-slip footplate for extra support and stability. Engineered using optimal components the Exigo Back Extension is a privilege to use due to its smooth movements that make working out a better experience. Whether you’re a seasoned athlete or a gym novice this machine will enable you to achieve superior results. Suitable for any gym, home gym or training facility. Here at Exigo-UK we pride ourselves on being able to offer a comprehensive variety of customisation options; choose from one of our standard primary & secondary colours, or get an exact match you require as there are many other colour options available on request. Our secondary colours offer a textured finish which we recommend for increased grip on bars and grip points. We offer 12 standard upholstery colours to choose from with the option of custom upholstery branding protection wraps. Other colours are available on request. All our equipment is designed & manufactured in our UK factory giving us complete control over products, this allowing us to engineer custom frame sizes and requirements to fit your individual needs. Our team of designers can produce a full 2D/3D concept gym design to bring all your ideas to life and help you realise your facilities full potential. Perfect for isolating and strengthening the back muscles Helps keep your spine properly aligned Reduced risk of back pain Protection against injuries Helps improve posture constructed to battle the rigours of a busy commercial gym environment Adjustable seat and roller Durable upholstery and a robust frame Non-slip footplate for extra support and stability Designed and manufactured in our UK factory Engineered using optimal components A privilege to use due to its smooth movements 100kg Stack, instruction plaque highlighting exercise and muscle groups targeted Suitable for any gym, home gym or training facility.